Your search is over! Tasteful charm abounds within this custom lakefront and pool home in one of Sarasota's best kept secret neighborhoods, Country Creek. With a choice lakefront homesite and a sweeping & huge 1 acre cul-de-sac lot, you cannot get much better than this. This home exudes warmth with decorator finishes throughout. With four full bedrooms and two and a half bathrooms, this fantastic home has all the right spaces for family gatherings or privacy. Take a dip in the expansive pool and spa or pick your spot for relaxing lake views on the covered lanai or screened pool deck. Features include spacious two and half-car garage, new interior & exterior paint, custom cabinetry with lighting, open kitchen with bar and completely remodeled bathrooms. The oversized master is a true retreat with pool and lake views, office space/sitting area, walk-in master closet and newly remodeled bath from top to bottom with dual vanities, separate shower and spa-like soaking tub. The extra bedrooms are not an afterthought with generous dimensions, roomy closets and windows with natural light. This lot is embraced with lush landscaping and nicely maintained with well irrigation. The neighborhood is friendly, vibrant, with a healthy HOA. 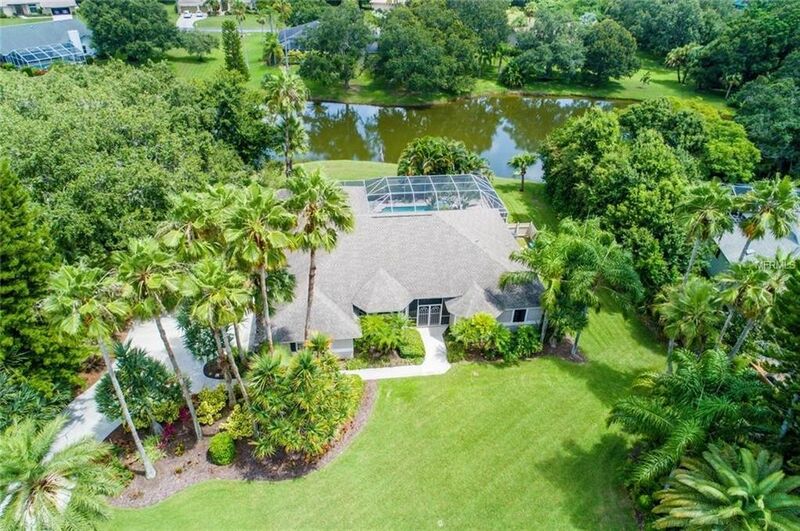 Country-style living within minutes to great schools, UTC Mall, Celery Fields Park, Benderson Recreation Facility, superior golfing, I75 and a short ride to downtown and world-renowned Siesta Key Beach. Directions: Proctor Rd East of I75, Left at entrance to Country Creek at Baycedar Lane, veer left at the Y, stay on Baycedar Lane, right on Cherrybark Ct. House on left.